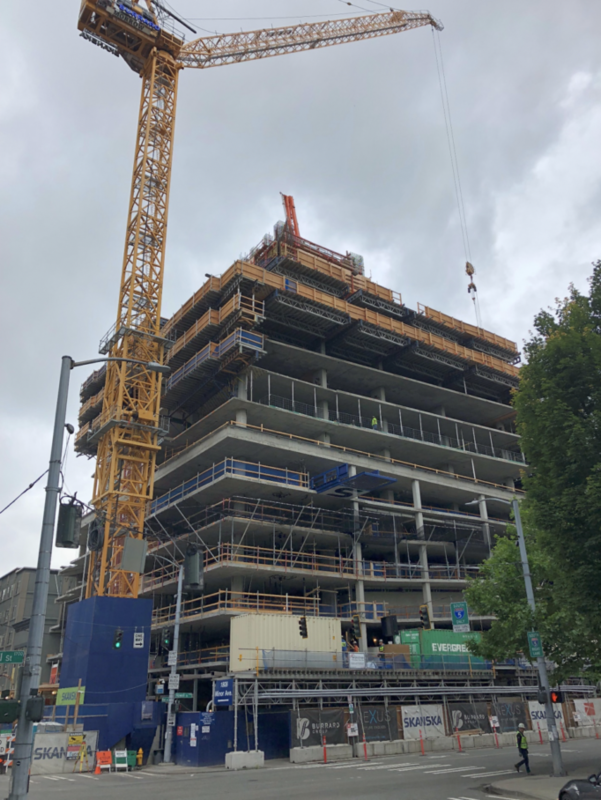 SKANSKA is well underway with construction of NEXUS, a 41-story condominium tower rising above the burgeoning East Village neighborhood in downtown Seattle. Already a dozen floors above the streets below, the iconic tower is taking shape with the first shifting cube already evident above the 7thfloor Podium Club. First occupancy is expected by Fall 2019. 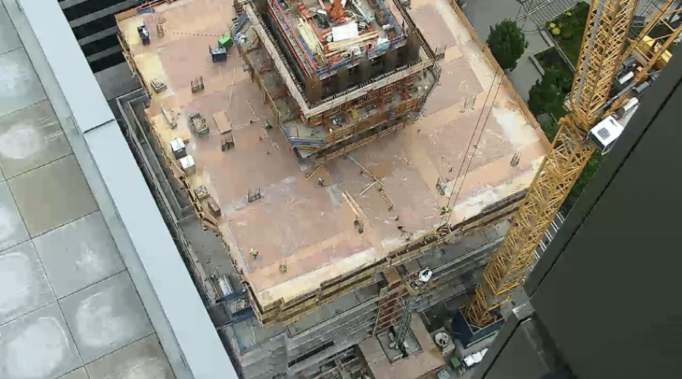 NEXUS is steadily climbing floor by floor to a total of 41 levels or 440-feet above the streets below with occupancy scheduled for Fall 2019.